with a compressed globular straight body, a tall neck flanked by a pair of zoomorphic handles, rising to a cup-shaped mouth, covered overall with a pale bluish-grey opaque glaze -- 6¾in. (17.2cm). 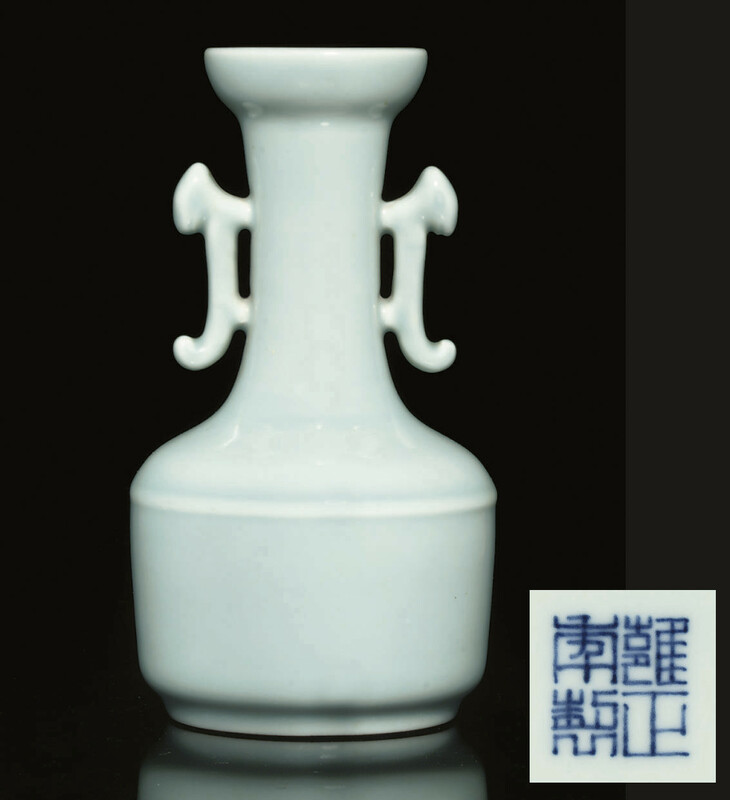 Compare a similar vase with almost identical design sold at Christie's Hong Kong, 27 October 2003, lot 697.